During the E3 press conference Microsoft promised it would be dishing out some free games to Xbox Gold subscribers. Assassin’s Creed II and Halo 3 were mentioned, but the first game to be made available was Defense Grid: The Awakening. This was a little confusing after the announcement made it seem as though ACII and Halo 3 would be the first games to appear. 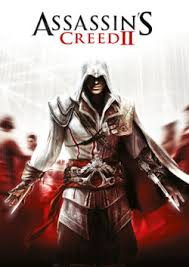 Larry Hyrb, otherwise known as Major Nelson, has confirmed that Assassin’s Creed II will be available to download for free for two weeks from 16th July. Nothing has yet been said about Halo 3. These free games have been snubbed by some who feel it’s a poor imitation of the free games PlayStation Plus members get on a regular basis. PlayStation Plus subscribers received 64 free games during the first 12 months of the service and some of the titles were considerably “bigger and better” than those being offered by Microsoft. Whichever service you subscribe to, free games are certainly not to be sniffed at, but it appears as though the level of quality has come into question in the Microsoft v PlayStation debate. For more information you can visit the Xbox Gold or PlayStation Plus websites.